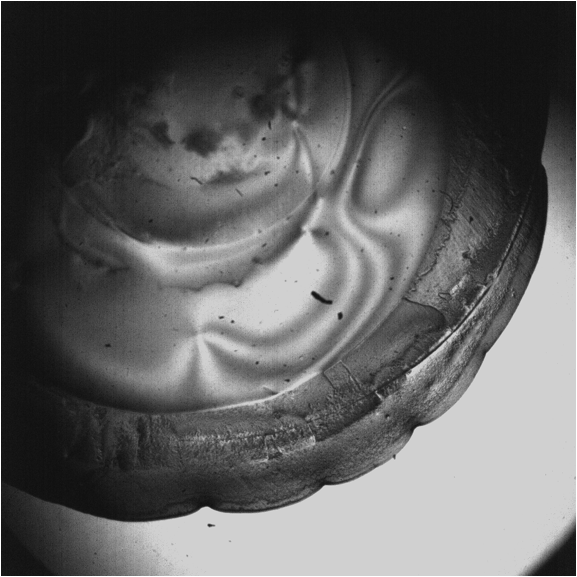 This project explored instabilities occurring during spreading of liquid crystals on solid surfaces and consisted of experimental, computational, and modeling component. 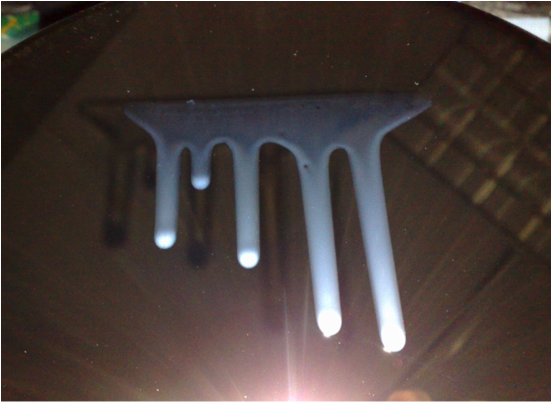 The experimental group carried table top experiments with 5CB liquid crystal in nematic phase spreading on horizontal and inclined substrates, with the idea of exploring the influence of complex liquid crystal rheology on the spreading behavior. The figures below show some examples of intriguate patterns that were observed. Figure 1: Flow down an incline. Figure 2: Horizontal spreading. In combination with experiments, modeling and computational projects have considered various features of liquid crystal dynamics, such as different types in instabilities and their interplay. The figure below shows an example of instabilities which may be expected in a downslope flow of liquid crystals. These results were obtained from an asymptotic long-wave model, which reduces complex spreading problem to a solution of a single nonlinear partial differential equation. More details about the project can be found in the presentation materials linked below.